Transforming the date and palm tree into a symbol of Emirati perseverance in the past, a source of wealth in the present, and a guarantee of prosperity for the future. Held under the patronage of H.H Sheikh Mansour bin Zayed Al Nahyan, Deputy Prime Minister and Minister of Presidential Affairs, the Liwa Date Festival is an annual event that was launched to assist the exchange of technical expertise among farmers. The palm tree which has played a great role in catering the nutritional and daily life needs of the human communities in the desert, is the source of the most beloved fruit that is in the very center of the festival. 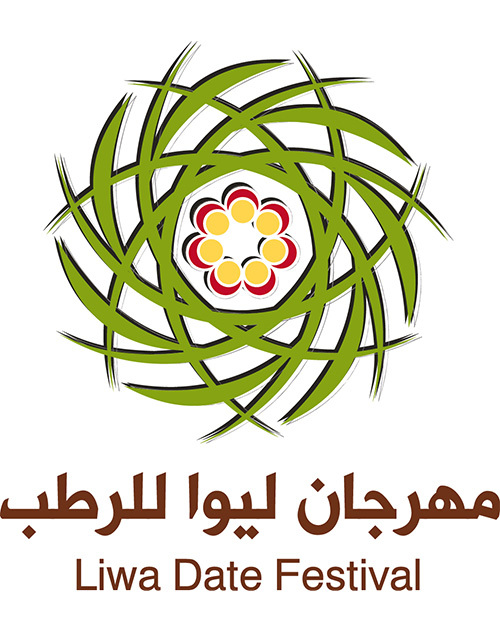 The Liwa oasis that stands like a haven of life and greenery on the edge of the Empty Quarter, is the venue of the festival that aims to promote the cultivation of the best and finest varieties of dates. The Festival also seeks to raise the quality of Emirati dates so as to achieve a better level of excellence and competition, locally and internationally, while preserving the healthy natural characteristic. The Festival includes outstanding events, notably competitions, date auctions, lectures that aim at raising awareness on the importance of the palm tree, special workshops for children, poetry evenings, popular games and others. One of the key highlights of the Liwa Date Festival is the Traditional Market. - Mangoes and lemons must be from the Emirati local production of 2016. - Mangoes and lemons must be from the production of the participant’s farm or home. - The participant must provide the ownership documents of the farm or the home when registering and when participating. - Each participant will be allowed to take part in two categories only. - The jury will survey and inspect all farms and houses that will secure top positions in the competitions. - Al Ratab (half-ripe dates) must be locally produced in the UAE in 2016. - Fully ripe dates are not accepted in the competition. - The produce must be from the farm of the participating owner. - The participant must provide the farm ownership documents when registering. - Each participant is allowed to take part in two categories, except for Nukhba, which is open for all. - Winners of previous editions are not allowed to participate in the promotion round of Al Nukhba. The Fruit Basket Competition was created to provide an opportunity for tourists and local visitors to discover local Emirati agricultural production. The competition includes different varieties of fruits that are locally produced and originating from the garden or the farm owned by the participant. A recently formed competition, the Model Farm Award has been created to honour and support the most hygienic farms in Liwa. The registration for participation should take place on the first day of the festival, and the results will be announced on the last day. More than 100 farms from Liwa are expected to compete at the new edition of the award. - The dimensions of the model must range between 1x1 metre and 2x2 metres at highest.